Dental Health Services - BROWN ANIMAL HOSPITAL, P.C. Tartar and gingivitis are commonly encountered problems we see in pets, and like us, they need good oral health to have good overall health. 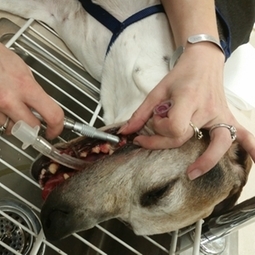 We stress annual teeth cleanings coupled with daily brushing, to maintain your pet's good health. Since our pets can't tell us when they have a tooth ache, it's up to us to maintain their dental health regularly.